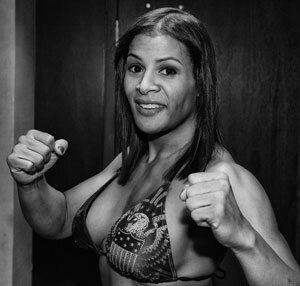 As the first transgender fighter in Mixed Martial Arts (MMA), Fallon Fox is definitely a force to be reckoned with. She is also one of two athletes featured in the recently released award-winning documentary, “Game Face,” by Belgian-born, Los Angeles-based filmmaker and director, Michiel Thomas. While Fox is a winning fighter in the cage, she is also an influential advocate for the transgender community, having received an Emery Award in 2013 from the Hetrick Martin Institute (HMI) for her LGBT advocacy efforts and in 2014 she was named to the Trans 100 list of prominent and influential transgender individuals actively working to improve life for the transgender community. For those whose only knowledge about transgender individuals starts and ends with Laverne Cox of “Orange is the New Black” and Caitlyn Jenner, to gain an understanding of what it means to be a transgender athlete, it’s important to know the complexity of life, the everyday struggles they must face. Fortunately, Fox has the courage to face her opponents in all phases of her professional and personal life, finally living openly and honestly as the woman she always knew she was from the time she was a six-year-old boy. One of the huge hurdles to overcome for trans athletes is the question of how hormones affect their performance and whether or not they have an unfair advantage competing against those whose gender is the one with which they identify. The question of unfair advantage by transgender athletes has now been answered definitively by the medical community involved in transgender medicine. These athletes do not have an unfair advantage. Yet it continues to haunt transgender athletes like Fox due to a lack of awareness as well as old-fashioned bigotry. * They must have had gender reassignment surgery. * The must have legal recognition of their assigned gender. * They must have at least two years of hormone therapy. At 5-foot-6 and weighing between 135-to-145 pounds, depending on whether or not she’s in training for a fight, Fox will be 40 this coming November. According to the Sherdog MMA website, she has won five of her six professional fights – MMA is her passion. And she has earned the respect and support of many in the MMA community who not only admire her skill as a fighter but also her courage to face the ignorance and anger of her detractors. Fox is not a publicity hound out for 15-minutes of fame nor is she a cross dresser or a drag queen. Fox is a pioneer, blazing a trail for other transgender and transsexual athletes and non-athletes alike to be able to live an authentic life. As with all pioneers, in addition to the honors and awards she receives from those who admire her courage, she also faces the brunt of peoples’ prejudices, anger and degrading insults from those who are offended and frightened by what they don’t understand. Not simply a respected athlete, she is also a talented artist and writer as well as a devoted mom to her daughter – she is a bright, intelligent woman who earns the respect of those who get to know her. I first met her in 2013 not long after she came out and I continue to be impressed by her. If you don’t know what it means to be transsexual (meaning you don’t identify with your birth gender), if you don’t understand transgender biology, if you can’t walk the proverbial mile in someone else’s shoes, she will educate you with straight talk in a calm but direct manner; she pulls no punches, either inside or outside the MMA cage. The reason she had to talk about it? It was the dreaded “call” she’d been anticipating for some time, letting her know that her medical records, what she had regarded as part of her personal and private information, had finally been invaded. It came from a reporter with an MMA news site asking about her medical history. While Fox had always planned to share her story, she wanted to do it on her own terms. But now, refusing to lie about her circumstances and unwilling to share the story with the reporter making the call, on March 5, 2013 she went direct to “Sports Illustrated” (SI) with her story which appeared on the SI website. To fully understand the traumatic impact of that call, you first need to know her background. Adolescence only added a deeper compulsion to have a female body and more confusion about her sexual identity. It wasn’t until she was 17 that she heard the word “transgender” on a television program – it’s what gave her a first inkling about what might be going on in her life. When Fox eventually came out to her parents, their response was to send her for gay conversion therapy. While her deeply embedded desire to be a woman never changed, she really worked at trying to “fix” herself. She said that everything was on the line – not being “fixed” could mean the loss of her family, her friends, even her daughter, of going to eternal hell with no reprieve. So if the therapy worked, if she could be “fixed,” she wanted to try to make it work. First thinking she might be gay, Fox had grown up experimenting, trying to discover what was right for her while still following her family’s expected traditional path for their “son.” After getting her girlfriend pregnant, Fox did the “right thing” and got married at 19, joining the Navy to take care of her new family. But her internal churning never stopped. So after a four-year enlistment and some time at the University of Toledo, her world fell apart due to all the psychological stress she was under – she recognized that she was at a critical crossroad in her life. Her “feelings of gender,” as she describes it, were so intense she knew she had to figure out what to do about her life. “My hair was falling out, which wasn’t good for my psyche,” she said, “and I knew I couldn’t wait because the longer you spend not transitioning, the more the effects of aging make the transition not so pleasant.” At that point she decided to focus on her transition process and how to fund it. The process is extensive and expensive – it is certainly not what some people might assume is the easy thing to do. At that point Fox dropped out of college and for the next several years was a long-distance trucker to fund her transition process. Finally in 2006, after a period of required hormone replacement therapy and dressing like a woman, she made an 8,000-mile, 17-hour trip to Thailand for gender reassignment surgery, breast augmentation and hair transplant surgery at the Bangkok National Hospital. After a six-week recovery stay, Fallon Fox flew back to the U.S. as the woman she always knew she was. She later had facial surgeries to remove the heavier male features – her hairline was raised, her brow was lifted and her jaw line was smoothed out. Once again, she did it all alone; she divorced in 2007 and no longer speaks to her parents. Moving to Chicago, she built a new life as a single mom with total custody of her daughter, this time driving a school bus and working as a diesel truck mechanic to support them. It was during her trips to the gym to get her body back in shape that she discovered MMA. Seeing women fight and earn respect inspired her. She happened to see a video on female MMA fighter Megumi Fujii and videos of other women fighters, saying she really admired their combined toughness and femininity. “It was like, wow, women are fighting,” she said. “They were doing it bare knuckles. No gloves. I wanted to do that.” MMA has grown beyond its bare knuckle roots, however – fighters now wear four ounce gloves. What she really likes about MMA is what she calls its “intelligent aggression” and “three-dimensional fighting” where you use all your mental and physical capacities to gain an advantage over your opponent. In 2010 her quest to become an MMA fighter began in earnest when she went to the Midwest Training Center in the Chicago area and began serious training that included Brazilian jiu-jitsu, Muay Thai, boxing, wrestling and ground and pound-specific training. By the next year she had turned professional. While she was willing to reveal her medical history to licensing commissions, she had never wanted it to be open knowledge for her opponents and fans. But since she was the first MMA transgender female fighter, there were questions about licensing her – the rules hadn’t before included this possibility. It raised the question if someone who was born male could be allowed to fight as a female against other females. It was immediately following her second professional match on March 2, 2013 against Ericka Newsome in Coral Gables, Florida when the “call” came that prompted her to take control of the situation and call SI to share her story. It was the public release of her personal medical records that triggered the question of whether or not transgender athletes have an unfair advantage over their competitors, particularly trans women. And while it was a legitimate one to be examined, sadly, in many cases it took on the aspect of an old-fashioned witch hunt, used as an unexamined assumption to support and defend people’s sexist and homophobic/transphobic prejudices. Something, unfortunately, that Fox and other trans athletes continue to face today. For more information on Fallon Fox, go to www.fallonfox.com; for more information on the “Game Face” documentary, go to www.gamefacedoc.com.